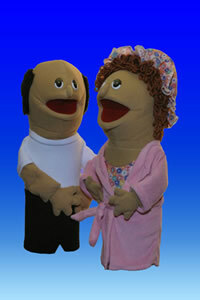 Mabel & Mabel's Honey will delight any puppet program. They have opinions on every subject. They both are not too ambitious but try to be on every committee. They come with Acrylic rods and meet all USA and European Safety.